Ainz is facing a fairly major setback, The Swords of Darkness, the team of adventurers with whom Ainz had begun to make some inroads with, were brutally murdered by the psychopathic Clementine with only the magician Nfirea taken as a prisoner for Khajit’s diabolical plan. In order to prevent his reputation from being spoiled, Ainz has taken on a quest to see Nfirea returned safely back to the village, and he will allow nothing to stand against his glorious rise in repute, not heroes, not sorcerers, nor even the undead hordes. Overlord holds back no punches in its third volume. Ainz is ready to deal some critical damage, bursting onto the scene with enough dark, brooding flair that would make an old Bruce Wayne proud. Battle is the heart and soul of this latest volume of Overlord, and to that end, it very much succeeds in its entertaining depiction. The artistic direction and composition are expressive and punctual, making sure to show off the grandiosity and superiority of Ainz and his minions as they repay the setbacks made for them by Khajit and Clementine’s meddling from the last volume. Each slash of the sword and each magical thunderbolt can really be felt on these pages as the ever expressive and detailed artwork revels in the cinematic duels it gets to show off. Even more so than previous volumes, Overlord gives us a visceral exploration of what it truly means to be master and commander in a powerful way. In a very real sense, this third Overlord volume is actually the true climactic resolution of the second. 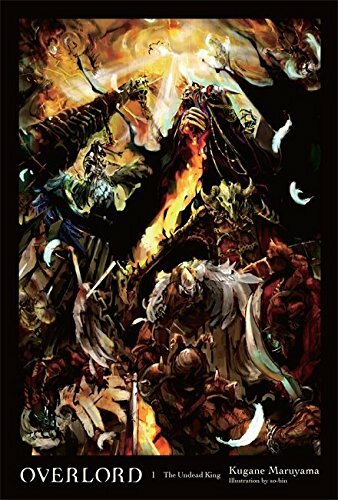 Everything that had been building in the previous volume, from the balance between Ainz’s personal feelings and his coldhearted ambitions, to the underlying mystery of Khajit and Clementines plans and the overall ramifications for the town and Ainz himself, is brought to fruition in this volume. As a piece of serialised storytelling, it works fairly well, paying off especially well for readers who read volumes two and three back to back. What it does mean though is that most, if not all of the dramatic stakes of this particular volume are imported from the previous one, leaving this third volume with very little thematic depth in its own right beyond that of Ainz showing off the immense magnitude by which he outclasses his opponents. The simplicity of the story in this volume is ultimately executed through a couple clear storytelling cliches with varying degrees of success. The most immediately apparent of these cliches is the deliberate pacing of the action scenes. Due to the major combat sequence being, in reality, two separate one-on-one duels, the manga manages this parallel structure by periodically switching between the two, often right at the most exciting “cliffhanger” moment. It is an interesting but very obvious tactic that makes it feel almost like the storyboard of a tv show, rather than a comic. What this back-and-forth does well is keep the energy and tension consistently ratcheting upward, though it can feel like the fights end up being a lot of build-up to little or no payoff, and this isn’t helped by the fact that there’s a distinct lack of follow through after the battle because our protagonists barely register their win before moving on to their next objective. Perhaps the point was that the villains weren’t even good enough to warrant revelling in their destruction, but the sheer lack of any good aftermath panel, especially after the dust settles felt incredibly anticlimactic after the protracted battle. The second narrative cliche that Overlord falls into is that of comically underwritten villains. Both Khajit and Clementine fall into the cartoonishly villainous category, the former especially with a forced, last minute backstory that is so out of left field it’s actually comical in how it gets executed. Even with this small nod toward having a backstory, the villains actually end up feeling incredibly underdeveloped, and are only really important to the story by their powerful abilities and their own self-confidence. The last third of the volume after Ainz and company defeat Khajit and Clementine switches entirely to the escapades of Ainz’s underlings Shalltear Bloodfallen and Sebas Tian. The sharp turn around and sudden return to characters from previous volumes is a bit quick meaning one may have to remind themselves of some of the major characters with the glossary in the opening pages, but the adventures of Shalltear, Sebas and their own posse of vampiric underlings is entertaining in its own right, and looks to be setting up another excellent arc to come. 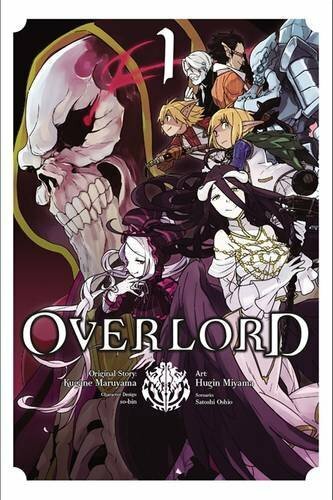 As usual, this third volume of Overlord includes another couple of manga-only extras. These are often some of my favourite parts of these particular books and this time is really no different. The first of these extras is an interview between Satoshi Oshio, the manga scriptwriter, and the Director of the Anime Overlord adaptation Naoyuki Itou. 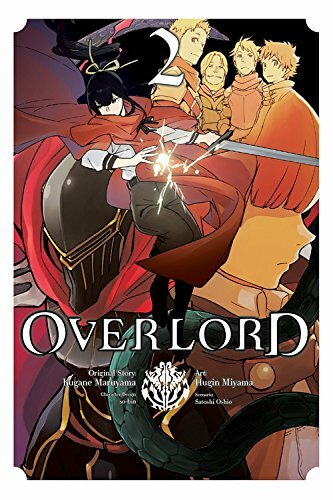 This interview is similar to the ones found in the previous volumes and provides another fascinating look into the behind-the-scenes of adapting a book like Overlord. The second is a look into various aspects of the world of 2138, the “real life” world that Mamonga hails from. It’s a dark futuristic dystopia that whose overall relevance to the backstory seems to be questionable at best. At the very least, it is entertaining enough to read through whether or not it ever becomes relevant to the main story of Overlord. 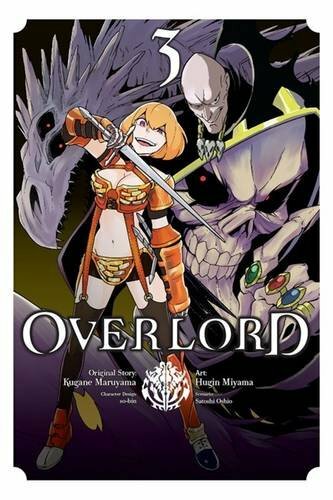 Overlord Vol. 3 is a fun, action-packed book that pays off the set-up of Vol. 2 quite well. It may focus on style-over-substance rather than deep character motivations, but in terms of delivering the satisfying battle it promised, it delivers in spades. Anyone who has ever enjoyed RPG’s, swords and sworcery or want a well executed power-fantasy should definitely give this a shot. Overlord Vol. 3 was published in English by Yen Press on December 13, 2016 and translated by Emily Balistrieri. The manga was written by Satoshi Ōshio with art by Hugin Miyama, and is based on Kagane Maruyama’s original light novels.